In Part I of our Christmas series, we named some awesome items to get a child equestrian for Christmas. In Part II, we will give you some ideas to get a junior or youth rider! Part III will be dedicated to adults, and then I will let everyone know what was on my personal Christmas/birthday list. – Breeches: You can NEVER have too many breeches, and there are tons of styles and colors out there so the possibilities are endless. Popular brands right now include Tailored Sportsman, SmartPak Pipers, Annie’s Equestrienne, Tredstep, and Le Fash. Each has their own price range, so there is truly something for every budget. Tailored Sportsman recently released two tone breeches that have been coveted by many Twitter equestrians. They are available at Willow Equestrian. SmartPak Piper Breeches in emerald/navy. Le Fash City Breeches in Central Park; available November 15. Tredstep Symphony No. 3 breeches. – Half pad: There are many half pads on the market, and there are quite a few ones that stand out more than the others. Ogilvy & EcoGold half pads are the two that come to mind. EquiFit has also broke into the half pad market with its newest product, the ImpacTeq half pad. Each half pad has its own distinct following, so it’s probably best to consult with your teen rider before purchasing one. Each of these half pads also comes in different colors and models. As everyone knows, I am a personal fan of the Ogilvy half pads (who will be coming out with a line of pads for western and polo riders!). However, that’s not to say the other options aren’t just as good. Do your research and select what you think would best work for your horse! This is the perfect gift for a rider that spends their time riding a bunch of different horses or ponies. Each of the half pads mentioned will help fix minor saddle fitting issues, allowing the rider to use his or her own saddle on a bunch of different horses! Ogilvy MemoryFoam Jumper Half Pad. Ecogold Jumper Flip Half Pad. – Fly bonnet: Custom fly bonnets are very popular especially in the jumper ring, and like most other equestrian products, there are many companies to choose from. If you are looking to go high end, there is De La Coeur. Custom Fly Veils is another popular company that doesn’t sacrifice quality even though their bonnets are less pricey. Custom Bonnets is yet another great company. You can also find other fly bonnet vendors on Etsy, as well as at tack stores. This is perfect for the rider that is getting into the jumpers and starting to come up with his or her own look for themselves and their horse! De La Coeur fly bonnet in chocolate with blue & white trim, & double crystals. – Tack cleaner: It is never too late to get a rider into the habit of cleaning his or her riding equipment on a daily basis. Keeping tack clean and well-oiled keeps it lasting longer, looking like new, and prevents the build-up of mold, dust, and other environmental substances that will eventually eat away at the leather. Taking care of leather boots – that most likely cost a small fortune – is also imperative. No one wants to go into the show ring with dirty boots! There are many types of tack cleaner on the market, but my personal favorite is Higher Standards Leather Care. The best part about this saddle soap and leather balm is that it comes in different scents, which is quite unique for a leather cleaner. My personal favorite is the vanilla and lavender scent, but they have a ton of different options on their website. They even debuted a Christmas-specific scent called Sugar and Spice. This leather cleaner really cuts into the grime, softens the leather, and keeps it look conditioned, shiny, and new. Best of all, it doesn’t have a sticky after feel. I highly recommend it and use it to clean all my tack, including my paddock boots and half chaps! 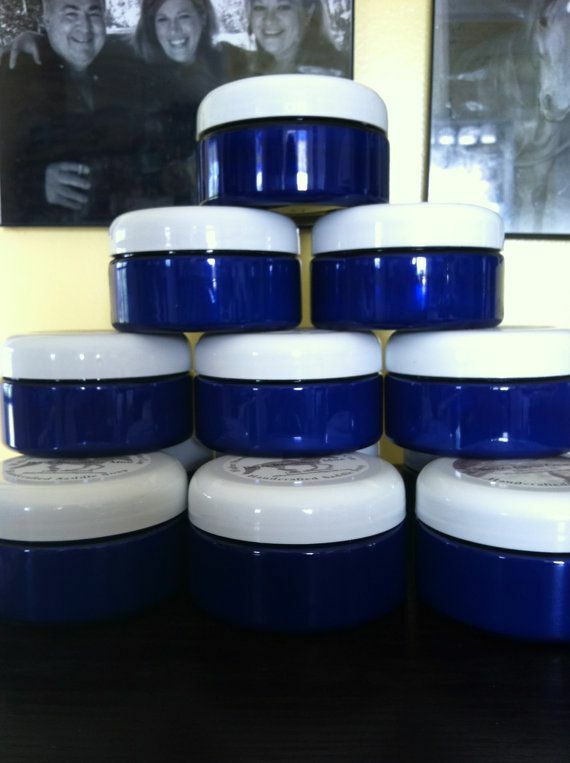 Higher Standards Leather Care saddle soap. – Skin wipes: These are amazing to keep in a car or travel kit, especially when a long day has been spent at the barn or at a horse show. These are useful both in the winter and summer as there are many skin care wipes on the market that control oil and shine and/or moisturize. I am a personal fan of these skin care wipes which I get from my favorite store at the beach and can also be ordered from the face wipes company’s website by clicking here. They have five different scents, each of which has a specific benefit for your skin. Pro tip: Keep face wipes in the refrigerator during the summer. Using them cool is a refreshing way to cleanse your face and cool down at the same time! Beauty Treats Green Tea face wipes. – The Bible Hunter Seat Equitation , by George Morris: Every equestrian must read this book. This book, written by George Morris – the king of our discipline – goes through everything a rider needs to know from the very basics to more advanced jumping and riding techniques. He even includes a part at the end that discusses appropriate turnout for showing which is a must for every rider that eventually wants to make it to the higher level hunter and equitation classes. This book has helped me understand concepts I wasn’t quite getting on the first try, and I’ve also found that things my trainer had been trying to drill into my brain for years were endorsed by Mr. Morris himself. This book is a must have for any horse junkie. You’ll quickly see why it’s sometimes referred to as “The Bible” in our sport. 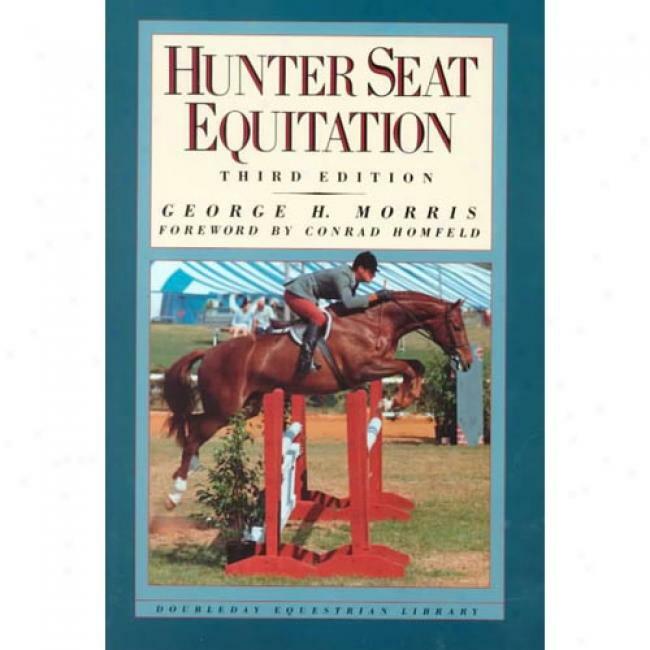 Hunter Seat Equitation by George Morris. – EIS Shirts: I love these shirts. They are functional, come in awesome colors, and are versatile enough to be worn on warm or cold days. On a warm fall day, I can wear this shirt alone. On a colder day, I can layer it. The sleeves have a mesh underside to allow air flow, but they’re not so airy that one will get too cold. EIS also just released a heating shirt that keeps your body temperature about 5 degrees while you are moving around. I have one on order and will be doing a review on how effective this shirt is, but I have high hopes. It seems like it is going to be a cold winter, so shirts with heating technology built in are a must have for winter riding, even if your barn has an indoor. Whether you buy the heated shirt or the regular EIS, they are a must have for any fashionable equestrian. – Belts: Wearing breeches or jeans with belt loops but having no belt is a major equestrian fashion faux pas. But you don’t need to spend a fortune to look professional and trendy. There are tons of belts on the market, each catering to a different price range. From Tailored Sportsman to Deux Cheveaux to Tory – there really is a belt style for everyone. Nowadays, belts are starting to come in different materials and colors making it possible to always match one’s belt to one’s riding outfit. I don’t think any rider would say he or she has too many belts. Here are some of the most popular styles today that you could get for your favorite junior rider! There are many places that sell belts that any western youth rider would love to. 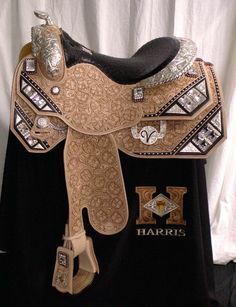 Check out It’s A Cowgirl Thing, SmartPak, and Harris. Note: There are way too many popular belts than I have space for this article, so Googling “equestrian belts” is sure to give you some good and varied options. Tailored Sportsman Quilted “C” Belt. Tory Leather Clincher Belt, available at SmartPak. SEREIN Custom Belts, available at Equestri LifeStyle. Nocona Western Rhinestone Belt from SmartPak. – Saddle: By now, the junior/youth rider is probably finished growing, and they are probably yearning for that one special saddle that makes them drool. 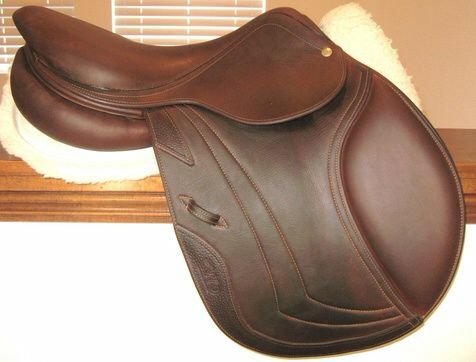 There are many high quality saddle companies out there, and different riders have different tastes – but one thing is for certain: we all would love a gorgeous saddle to call our own. Some of the most coveted English brands include CWD, Antares, Voltaire, Hermes, and Butet. Some of the most coveted Western brands include Harris, Dale Chavez, and Blue Ribbon. – Snaffle bit jewelry: Snaffle bit jewelry is super popular lately, and I personally love this ring by Luv Inspired. It comes in three different metal types: sterling silver, gold, and rose gold (which is my personal favorite). There are many other equestrian-themed pieces available at Luv Inspired, so definitely go check them out. If you don’t have the money to spend on a Luv Inspired piece, you can also check out these other snaffle bit jewelry makers that are a bit more affordable: Etsy and Snaffle Jewelry. Luv Inspired Bit By Bit Ring. – Personally Preppy Monograms: If you don’t monogram your equestrian items, do you really own them? Personally Preppy makes it easy to monogram just about anything – your helmet, horse’s boots, and even breeches! You can customize your monogram with different colors, font styles, and sizes also. Personally Preppy recently launched their brand new website, including a few new items like Samshield monogrammed gloves. This is one of the latest trends in the equestrian world, and there are many different businesses that offer monogramming services, but what makes Personally Preppy unique is that you are simply buying the monogram sticky and can put it on whatever you want! Personally Preppy is also used by some high profile equestrians, including Lillie Keenan. Trust me – this is something your favorite equestrian would want, and it’s super affordable too! Lillie Keenan & her Personally Preppy helmet monogram. Personally Preppy monogrammed polo wraps. – A spa day: This is out of the ordinary – or is it? Riding horses takes a toll on our bodies. We often end up developing issues we shouldn’t develop until we’re about 45. But, we make sacrifices for this sport. A spa day is a wonderful thing in an equestrian’s world. This can mean a massage, a facial, a mani/pedi, or all of the above. Massages are great for getting the knots out of our tight muscles. A facial will definitely help with the gunk our skin endures on a daily basis – you know, dirt, dust, horse boogers, etc. A mani/pedi… well, they might not last long, but at least our fingers and toes will look cute until we go to the barn again. Check out this super awesome equestrian themed manicure from Nailed it NZ! – Money: This might seem a bit shallow, but equestrians can always use more money, whether its for lessons, showing, an unexpected but much needed new horse item (can anyone say ‘my horse shreds his blankets’?) or an emergency vet fund (which is something we should all have, if possible). If you don’t know what to buy your favorite horseback rider, giving them cash or a gift card to their favorite tack store is just as good as getting them an horse-related item. That way, they can use the cash or gift card the way they want to, and you don’t have to risk buying them something they might not like and/or use. Every equestrian is different, so these are just a few ideas for the youth or junior rider in your life. Make sure to ask them for their Christmas list – they might have thought of something they want that isn’t on this list! And, if you’re really stuck, a nice horse in the rider’s preferred discipline is always a safe option – happy shopping!